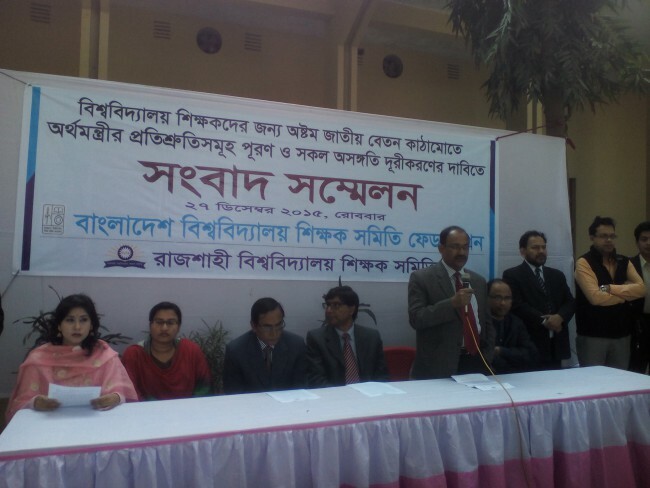 To remove all kind of disharmony from university teachers’ grade and to fulfill finance minister’s commitments in 8th national pay scale, the teacher’s committee of Rajshahi University arranged a press conference on Sunday. If their demands are not fulfilled in time, they will take continuous break in service – they threatened. Meanwhile, teachers committee had a full day break in service to protest against the speech of Finance minister about ongoing movement to save teachers grade and dignity.